Parenting can sometimes be intense; it is one of the most trying roles that many of us take on in life. Blending a family to include children from your partner’s prior relationship can sometimes add even more of a challenge. 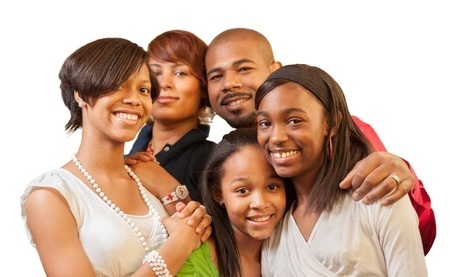 Here are some tips if you are in a blended family system. Set time aside to spend together. · Despite the hectic schedules that go along with raising children and making a family work, it is always important for the parenting couple to take care of the intimate relationship. Whether you choose to go on a date once a week or have alone time in the house without the children, make sure you are giving your relationship the nurturing and time it needs in order to keep the connection alive. Encourage children to express their feelings openly. · Giving your child or your stepchild “a voice” and the chance to express how they truly feel can be a gift. When someone shares their deepest feelings about something, it makes them feel special that you took the time to listen. This provides an opportunity for growth for that child. Children are no different than adults in this way. Besides, when you take the time to listen to a child and validate how they are feeling, it deepens your connection with them and builds trust. Remain committed to the partnership by focusing on what brought you together. · The strongest couples have a “united front” attitude. They are able to recognize that they are in “this” together. Even though there are disagreements, they are able to reconcile quickly and maintain positive regard toward their partner. Children are very observant, and if there isn't a crack in the couples relationship, the lack of a united front will give the illusion that there is. · Conflict will arise in any family system, and it has many faces. The effective couple who finds themselves in a blended family uses every opportunity to work together in order to come up with solutions to problems and manage them every step of the way, instead of avoiding conflict. Every conflict that arises is not going to be handled perfectly, and sometimes you may have to step back and allow the biological parent to handle his or her child independent of you. Remember, there is more than one way to handle a conflict. Since blending a family is like a journey, be flexible and always look for opportunities to learn the lessons that lie ahead. · In the beginning stages of blending a family, it can be confusing for both the children and the adults. Everyone is working hard to find their place in the family to define their role and meaning, particularly when the previous relationship abruptly had to come to an end. It is particularly important for the step parent to give the bio parent room to discipline their child; this is to avoid increasing any negative perceptions the child may already have about the step parent. As the relationship strengthens and the trust develops between the step parent and step child, things may change in the disciplining department. Encourage one anothers children every chance you get. · Children love to be praised, even for the smallest of things. Make sure you and your partner are taking the time to recognize every good thing that your children/stepchildren are doing right. Point it out to them constantly. This will encourage positive behavior from them more often than not. Praise is one way to make everyone feel a part of your union and not feel left out.